It is my conviction that if there is any doctrine worthy of study and repeated study, it is the doctrine of redemption or atonement, which is the focal point of the Christian faith. Before I offer my thoughts on the book, it is worthy to note the etymology of atonement. The word atonement was created by the multi-lingual English Protestant reformer and scholar, William Tyndale. Realizing there was no English word to accurately describe God’s forgiveness and reconciliation, he described it as “at” “onement”. Let us not also forget, it was Tyndale who first translated the Scriptures into English in 1525 under severe persecution which he was eventually hanged and burned. The last two years have been particularly rich for me regarding my soteriological studies, maybe almost to a fault, somewhat neglecting other doctrines of the faith. But since this is the centrality of the faith, logically I assume that it will benefit me in the other areas as I continue to study the Scriptures from this reference point. I admit that I am in awe of God’s grace toward us in Christ before time began and when mentally digested and meditated on, who wouldn’t be? The gospel is beautiful and taking time to gaze at the intricacies of that beauty does my soul well. The title aptly describes the two perspectives of redemption which Murray richly explores: its accomplishment by Christ and its application for the believer. Specifically, part one of the book looks at the necessity, the nature, the perfection and the extent of the atonement. Part two takes the reader through the application of the atonement looking at the ordo salutis from effectual calling to glorification. Murray’s reformed soteriological views are biblically linked with well thought precision. Though his verbosity can make the read laborious, it is well worth the time and effort to understand and appreciate so great a salvation. The onset of the book delves into the necessity of the atonement. But Murray’s intent isn’t to elaborate on the necessity itself, but rather the necessity of the peculiar manner in which our redemption was met. He calls it “consequent absolute necessity”. Concerning consequent, Murray’s point is that salvation arose merely out of the pleasure of God’s good will, though He didn’t have to. Concerning the absolute necessity aspect, he labors from Scripture to show why Christ alone is uniquely qualified to secure the salvation of God for sin, which includes redemptive eschatological implications. After laboring to show the sufficiency and beauty of atonement in Christ, Murray turns his attention to the order of the acts and processes of each stage of redemption or ordo salutis. The chief text that sheds light on God’s wisdom in salvation is Romans 8:28-30. Murray keenly points the reader to the first cause of redemption, namely the purpose of God as the end of verse 28 declares. It is this fact that sets in motion the succeeding acts and processes of redemption in verses 29-30 : foreknew, predestined, called, justified and glorified. This unbreakable chain starts in eternity, continues in time and culminates in eternity. Dutifully, Murray adds implicit links to this chain and spends a few chapters explaining how each implicit issue links to the explicit issues perfectly together to give us a detailed view of God’s redemption. Respectively and logically ordered, the chapters focus on effectual calling, regeneration, faith and repentance, justification, adoption, sanctification, perseverance, union with Christ and glorification. Union with Christ is the central truth of the whole doctrine of salvation. Murray closes the curtain spending the last chapter discussing glorification and its Christocentric implications (Philippians 3:21). 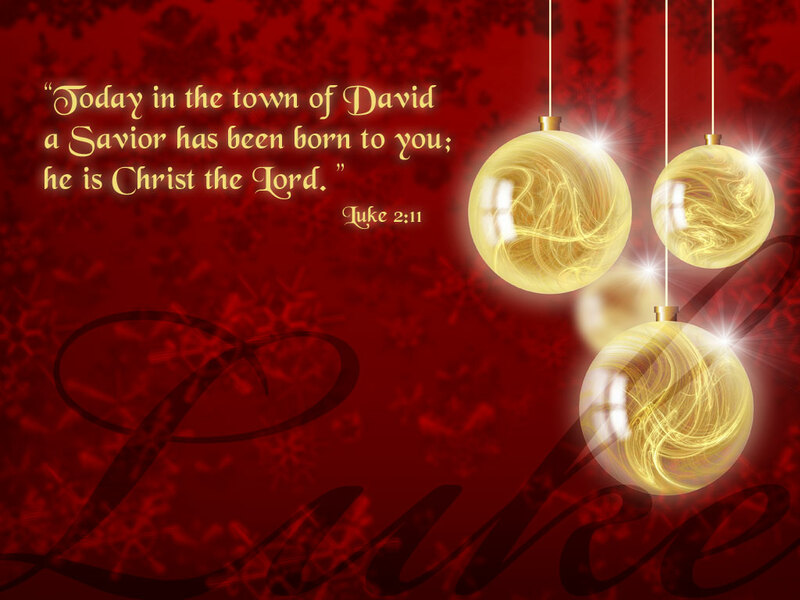 Murray says the congruity of redemption shall be revealed when the glory of Christ and the glory His body, believers, are revealed on that day. What an amazing scene! If you have an appetite for understanding the doctrine of the atonement or redemption, I highly encourage you to purchase and thoughtfully read this book. John Murray (1898-1975) was born in Scotland and educated in Glasgow, Edinburgh, and Princeton. He spent most of his distinguished career teaching systematic theology at Westminster Theological Seminary in Philadelphia. He also wrote Principles of Conduct: Aspects of Biblical Ethics and the volume of Romans in the New International Commentary on the New Testament series. Life is filled with memorable moments. You know, those moments which you’ll never forget where you were, who you were with, how old you were and certain feelings associated with that moment. 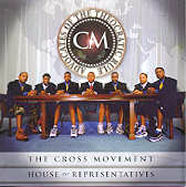 Well, my hip-hop world was blown away as a believer when I first heard House of Representatives by The Crossmovement in 1999. It actually was released in 1998. I came to find out later their first release was in 1997 titled Heaven’s Mentality, which I recommend. Classic Christian hip-hop, yo! I grew up in Houston, TX, but I always had what one fellow emcee told me was the east coast virus. He had it too and he’s originally from California. The east coast virus is simply an affection for east coast music and style without having any roots or prior associations with that part of the country. Funny, right? I remember as a kid preferring Run DMC, LL Cool J, KRS-ONE, Whodini, Slick Rick, Eric B. and Rakim, Big Daddy Kane and Public Enemy over hometown emcees like the Geto Boys and The Convicts. In the mid-late 90’s, as a radio DJ in college in San Marcos, TX, I was nicknamed “East Coast” by some of my peers because of the large amount of east coast hip-hop I played on my show. So naturally, after I got saved, though I no longer desired the lyrics of secular hip-hop, I still longed for intricate lyricism, certain drum patterns, break beats and scratching. It was quite a frustrating search and I thought I’d never find what I greatly desired – Christocentric lyricism packaged in east coast beats. It’s not that it didn’t exist. The problem was the lack of marketing and advertising. While mainstream hip hop was the 2nd most popular music genre and the fastest growing genre in music in terms of annual sales increases, the Christian music community saw hip-hop as a sub-genre of the contemporary scene. From a bottom-line dollar standpoint, there was no need to invest in the Christian hip hop market because there was no perceived audience. Music history proves that notion wrong, especially hip-hop history. Hip-hop evolved and existed for 5-6 years in the boroughs of New York City before it caught the attention of music executives. Once the street buzz was boomin’, music executives couldn’t help but to see this as a lucrative machine to wrap their hands around. Remember Rapper’s Delight by The Sugar Hill Gang?? Aside from the business aspects, other tensions were prevalent. The Christian community was slow to receive Christian hip-hop because of hip-hop’s secular reputation. Likewise, the secular hip-hop community shunned Christian hip-hop because of its content. Literally, it had no place and I identified with this problem and was often misunderstood. How can one love hip hop and Christ? In some people’s minds, these were the antithesis of each other. Music in and of itself is not inherently evil. The intent and content of music’s lyrics draws the line of distinction between sacred and secular. That memorable moment? In 1999, there I was walking around in the Christian bookstore in San Marcos, TX looking for some good reading material and I decided to walk over to the music listening posts. Surprisingly, they had a hip-hop section and I immediately thought to myself, “I wonder how corny this is going to be?” But this album grabbed my attention. I saw 7 guys sitting at a semi-round table dressed up on their upper torsos, and dressed down on their lower torsos. I saw sneakers, Timbs, and a slogan that said “Advocates Of The Theocratic Rule”. I was intrigued by the cover alone. Then I read the titles of the songs and I played the demo. I was rocked! This was it! This was what my heart and mind were looking for! These men looked like me, talked like me and yet it was undeniable that they were students of the Scriptures. You can’t write those kind of rhymes without having been soaked and saturated in Scripture. There is so much doctrine in that one verse. The Lord used Christian hip-hop to whet my appetite for sound and weighty doctrine. I wasn’t getting this in urban contemporary gospel music. Christian hip-hop at that point was for me the theological depth of hymns intertwined in urban musical ruggedness. Ah, what a dope blend!!! Crossmovement, in many respects, has been graciously used to minister to and educate, primarily the hip-hop culture, as well as opened doors for this genre of music to be expanded and marketed better. There is still much work to be done in that aspect and the Lord will move in His time. What I am blessed by the most is seeing the multifacetedness of redemption. Redemption not only involves people, but the things people do and create, even hip-hop. Hip-hop is not outside of the scope of Christ’s redemption! The beauty of Christ is displayed in array of ways, especially through the arts. And for now, we are only seeing a glimpse of His redemption. It is still unfolding and the culmination is forthcoming! In future posts, I will highlight the artists that have been a blessing to me as they have endeavored to use hip-hop as their soapbox to magnify the excellencies of Jesus Christ.